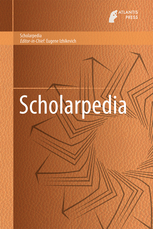 The Scholarpedia series is derived from Scholarpedia, the peer-reviewed online encyclopedia. Each volume in this series is dedicated to a specific scientific theme, with contributions from disciplines such as neuroscience, physics, mathematics and computational intelligence. All articles in Scholarpedia provide in-depth and state-of-the-art scholarly treatment of the academic topics concerned and are written by leading experts from around the world, including Nobel Laureates and Field Medalists. The series serves as an excellent reference work for academics, professionals and students.